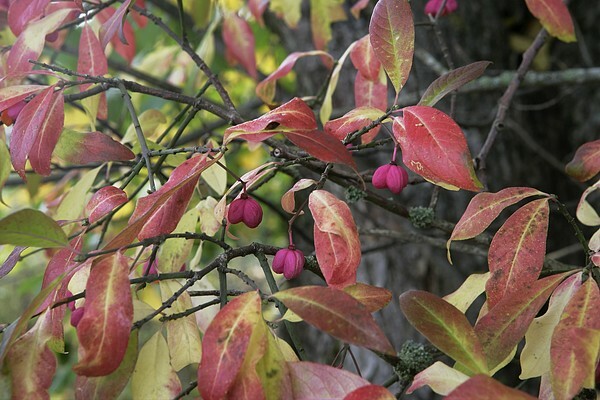 In spring and summer the spindle looks quite modest. In southern Estonia it is an up to three metres high upright frost-hardy shrub. The obovate – inversely eggshaped - leaves have a pointed tip, the undersides are hairy. The pink fruits of the spindle are capsules that open as autumn advances – brown seeds with a shiny, reddish fleshy seed cover (arillus) become visible. It can be successfully used in urban landscaping since it tolerates polluted air and any pruning needed to shape the shrubs.